[値下げ] AMP Viewer for Safari | Mac App Storeのアプリ検索・ランキング BuzzMac! 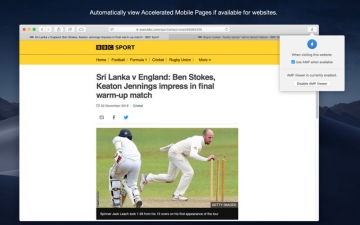 Automatically view available Accelerated Mobile Pages from Safari on the desktop. Accelerate web browsing with minimal and less cluttered versions of web pages, saving data and bandwidth, and providing easier reading. 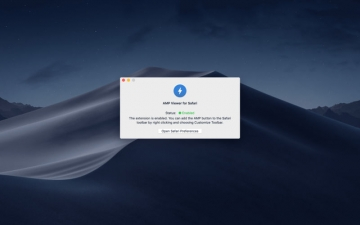 To install simply open AMP Viewer for Safari, enable the extension from Safari Preferences under the extensions tab and optionally Customize Toolbar and add the AMP button. 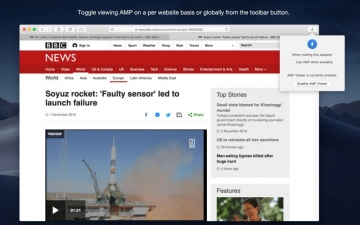 On any page supporting AMP the toolbar button will allow you to toggle viewing the AMP version globally or on a per website basis.